Its a free course, so its not really a waste of money, but sure wasting time because of the instructor not taking it as seriously as its needed to be. He clearly has knowledge to pass, but clearly has misunderstandings even in his own knowledge, and should take time to write his own material, not just tell it as it goes. Instructor: keep improving your teaching skills, you can be a great teacher, but it needs learning to be a good teacher, not just saying what I know about a topic. Extremely straight forward, very useful, once you are taught from the conceptual of a database to the implementation of one, always followed by the funny way of the teacher. I tried several videos series, and I like this one the most. It's really what I need. I tried setting up mySQL in the past but did not succeed - not enough time in the day. 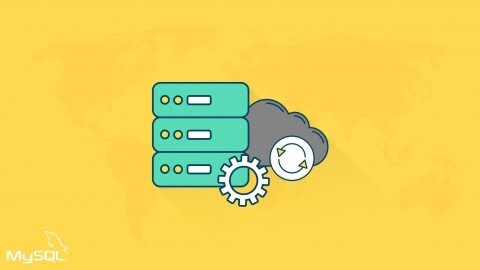 This course covered everything that I needed to get started with mySQL ( plus more ). Much appreciated and thank you. I am about four times your age - liked your energy level - kept in tune with the classes. Keep up the good work. Very descriptive analysis of the subject matter! Caleb makes it very understandable. He doesn't speak above you or speak down to you. He makes learning about databases and MySQL fun and interesting. A lot of information is repeated in later videos from Section 1 and 2 in Section 3. I took it as refresher information since I am a beginner at MySQL, Databases, and Database Design. Overall, I am enjoying learning the material in this manner and from Caleb Curry.